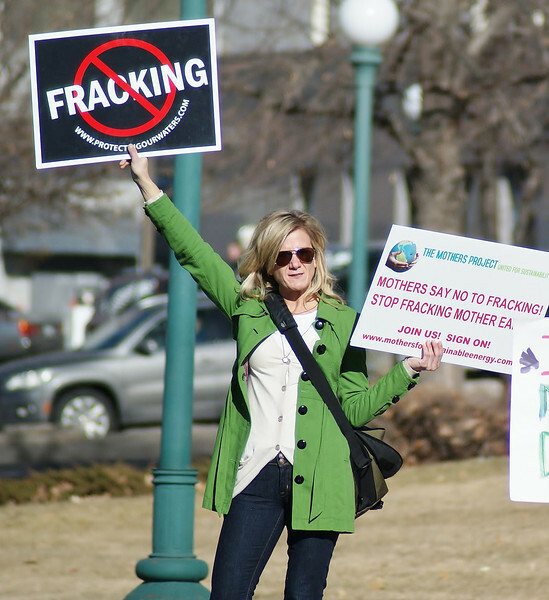 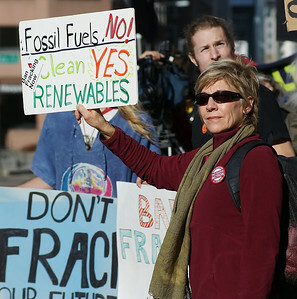 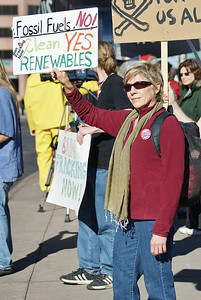 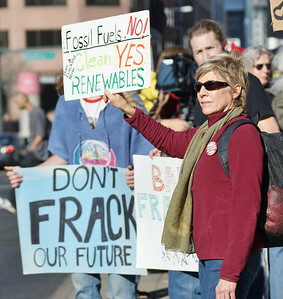 Woman holding sign about renewable energy, other anti-fracking protesters standing behind her. 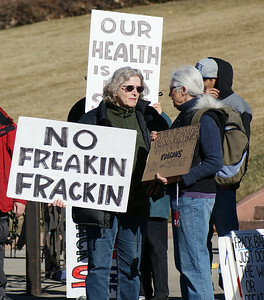 Fracking opponents with signs including "No Freakin Frackin". 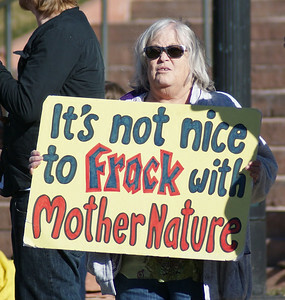 Woman with anti-fracking sign about mother nature. Woman holds anti-fracking sign above her head. 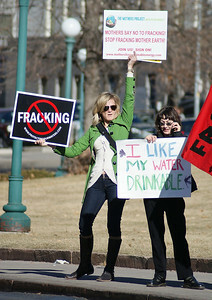 Woman holds anti-fracking sign above her head, next to her, another protester with sign talking on cellphone. 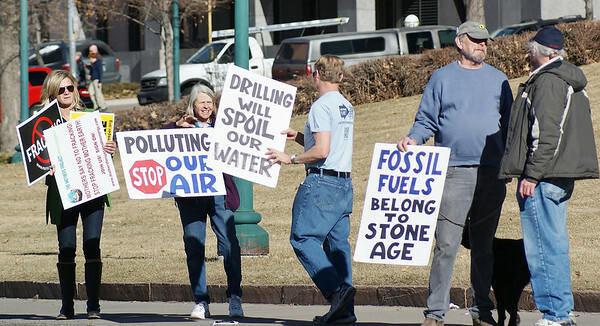 Protesters at anti-fracking demonstration with signs about fossil fuels, clean air and pollution of water.